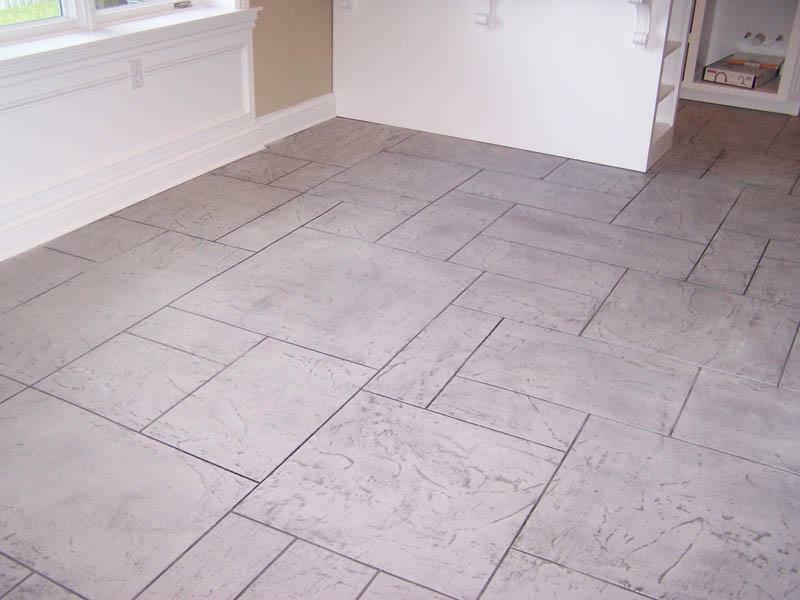 The maintenance and stain removal of the grout in your tile floors is a complex task and may even be exhausting, especially when you have a large area like a tiled wall or floor that have retained dirt and stains over time. To make the job of cleaning as painless as possible, you’ll need the help of some kind of solution made for this specific task. First, remember that you should never use chlorine bleach on colored grout because the colored surface will be damaged from fading. You can only use chlorine bleach on white grout. Also consider that in general, chlorine has its pros and cons. It offers an incredible effectiveness in cleaning stains on grout, but it’s also highly corrosive and releases some vapors. If you’re using chlorine bleach, dilute it well (“Good Housekeeping” recommends using 3/4 cup bleach to one gallon or 3.7 liters of water) and wearing gloves. Pour on to the grout lines and rub quickly with a stiff brush then rinse well. Oxygen bleach is also used to remove stains, but it is much safer to use and more natural than chlorine bleach, which contains hydrogen peroxide. 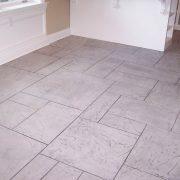 Home improvement expert Tim Carter (“Ask the Builder”) is considered the best and ultimate cleaner for grout joints. Best of all, it can even be used on colored grout without damaging them in any way. If you use oxygen bleach powder, just add water and apply it as you would chlorine bleach or any regular cleanser. Do not forget to wait at least 15 minutes before scrubbing and rinsing, as this type of cleaner releases natural ions and requires time to act. Another recommendation from “Good Housekeeping” magazine is baking soda. It is known that this all-purpose product can effectively remove stains on both white and colored grout and can even kill any type of mold growing on the surface of your tiles. Mix 3/4 cup of baking soda and 1/4 cup water in a bowl to form a smooth paste. Apply the paste to grout joints and rub firmly before rinsing. A pH neutral cleaner has little effect when it comes to removing stubborn stains, rust and mineral deposits, but can do wonders to remove accumulated dirt in grout joints and for routine maintenance on your floors and tiles. In fact, to clean the area once a week with a neutral pH cleaner, you can prevent the formation of stains and mildew buildup. Many stores sell supplies for home cleaning products labeled as “neutral pH”, but you can use any pH balanced cleaning solution, including mild dishwashing detergent. Consider this type of cleaning as a preventive solution instead of thinking of them as stain removers.